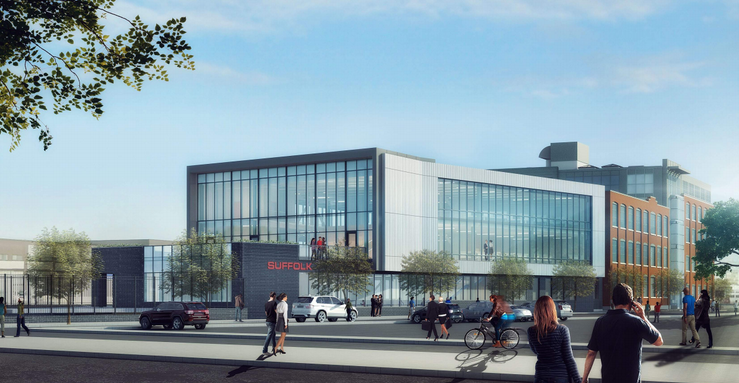 Suffolk Construction (the biggest general contracting firm in Massachusetts) is preparing for a $22 million expansion of its headquarters in Roxbury to accommodate its projected growth by 10% in headcount. A 38,000 sq. ft. expansion is proposed at 79 Allerton St, a location adjacent to the companies current headquarters. In 2013, Suffolk wanted to leave its current headquarters at Allerton St. for an office in the Seaport District in Boston. However, that idea was discarded a year ago and replaced with their plans to expand their existing headquarters in Roxbury. Suffolk’s proposition to grow has come during a period where employment for construction workers is rising in the state. Will this have any impact on the current scenario for construction workers? Suffolk has grown to 1,550 workers worldwide since it was founded, 400 of which are situated in Boston full-time. Suffolk can accommodate 302 workers at its current office, however the company expects that headcount to increase by 10% throughout the following years.